Antonio Bras' live performance to the current version of METROPOLIS is without doubt a film-music-event in a class of its own. The symbiosis of silent movie and extraordinary live sound DJing transfers the classic movie into present times and unites generations. 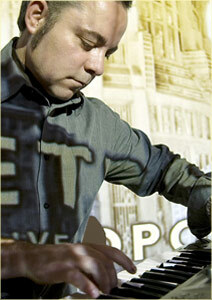 From 2008, Antonio Bras performed his first sound score several times in Germany and Romania. After a print of Lang's original cut of the film was rediscovered in Argentina in 2008, the Portuguese artist updated his musical interpretation in mid-2009.